Whilst we’re not experts at proving dough or blending butter icing we are experts at maintaining ovens! Here our top tips to make sure your oven isn’t making your cakes flat or your biscuits burnt. If your cakes aren’t rising properly or they’re taking longer than expected to cook, when you’ve been extremely good about not opening the oven door, it’s frustrating. Don’t blame yourself; it may not be anything you’ve done wrong, but rather your oven’s fault. If your oven is an older model it may be losing heat during the cooking process. There are a few reasons why your oven may not be heating as it should, but one common cause is a cracked or worn door seal. If you think you may need to replace the door seal in your appliance here’s our video showing you how. If your food always seems to cook more in some places than others, despite turning it during the cooking process, you could have a faulty element in your oven. Patchy heating is one of the signs of an element that’s on its way out. 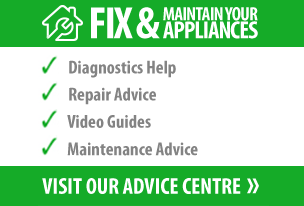 To test whether or not your cooker element is faulty you’ll need to switch off and unplug your appliance and diagnose with a multimeter. You can also look at your element whilst it’s on; if there are bright spots visible on it this is another sign of imminent failure. If your element is no longer working as it should then you can replace it following the instructions in our video below. We agree with Mary on this one. 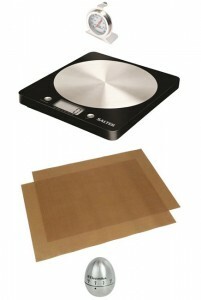 Even the most accomplished bakers need good quality equipment to help them achieve perfect results. Here are some essential gadgets for your kitchen. 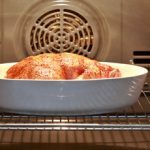 Oven thermometer – Want to see what temperature your oven actually is? Hang an oven thermometer from one of the oven shelves and ensure your cakes really are being baked at the temperature in the recipe. Scales – For dinners you can get away with not measuring, just throw ingredients together in a pan and still enjoy a delicious risotto or spaghetti bolognaise. Baking on the other hand is precise so if your scales are broken, get some before you attempt that baking recipe. 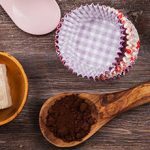 Reusable baking sheets – No more buying, greasing and cutting baking paper. Reusable baking sheets just need cutting to size the once, then can be reused at the bottom of your baking trays again and again. A timer – A few minutes are all that stand between a perfectly cooked and a decidedly “smoky” tasting cake so don’t take any changes with timings, let a timer do the remembering for you. All our baking accessories are currently on offer so act fact and you can stock your kitchen up with some bargains! Once you’re sure that your oven is working perfectly and your kitchen is fully equipped you can concentrate on deciding what to bake next. Will it be the precise genoise sponge or the steamy dampfnudeln? Decisions, decisions.